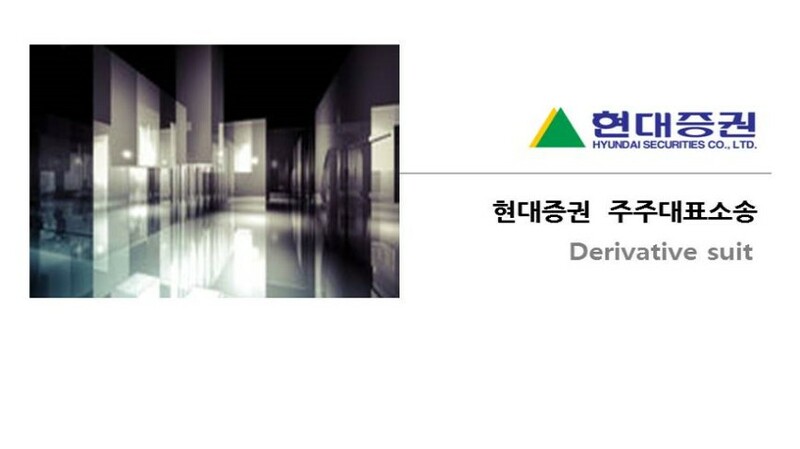 After having been selected as the preferred bidder in the M&A deal for Hyundai Securities Inc., KB Financial Group became the largest shareholder of Hyundai Securities by purchasing 22.56% shares of Hyundai Securities from Hyundai Merchant Marine Co., Ltd., and appointed three new directors at a temporary shareholder meeting held at May 3, 2016. Newly appointed board of directors convened right after the temporary shareholder meeting and decided to sell the treasury stocks of Hyundai Securities to KB Financial Group. The sale price was 6,410 won per share which was the closing price at the date of the board meeting, and the size of the treasury stocks amounted to 7.06% of total number of common shares issued by Hyundai Securities. Thanks to this sale, KB Financial Group could become the shareholder holding 29.62% shares of Hyundai Securities. The sale price per share of treasury stocks, however, is just about 1/4 of the price at which Hyundai Merchant Marine sold its shares. As directors of Hyundai Securities, they should decide the timing, counterpart and sale price of the treasury stocks for the best interests of the company as well as the all shareholders not for the largest shareholder; however, they, without going through proper procedures solely for the best interests of KB Financial Group, sold the treasury stocks at too-low price thus causing damages to the company. Thus, minority shareholders of Hyundai Securities raised a shareholder derivative suit against the board of directors of Hyundai Securities per Commercial Act Section 403 to recover damages resulted from the sale of the treasury stocks.